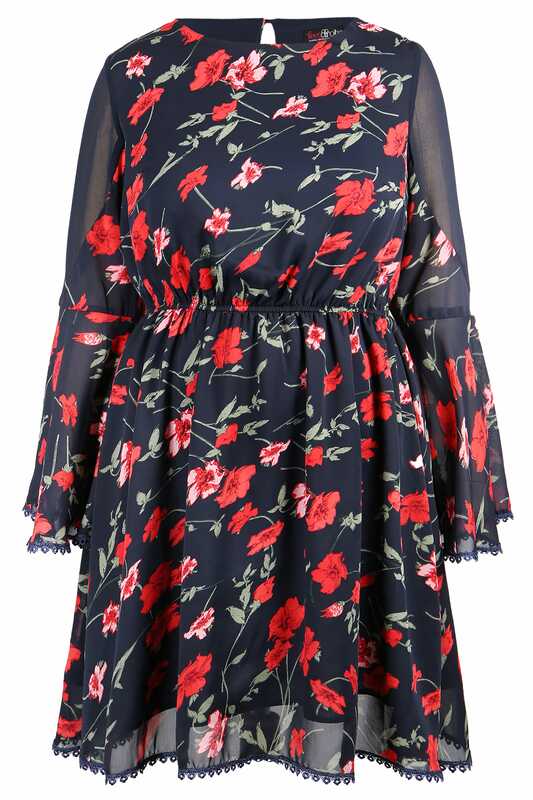 This enchanting skater dress is the perfect addition to your trans-seasonal wardrobe. 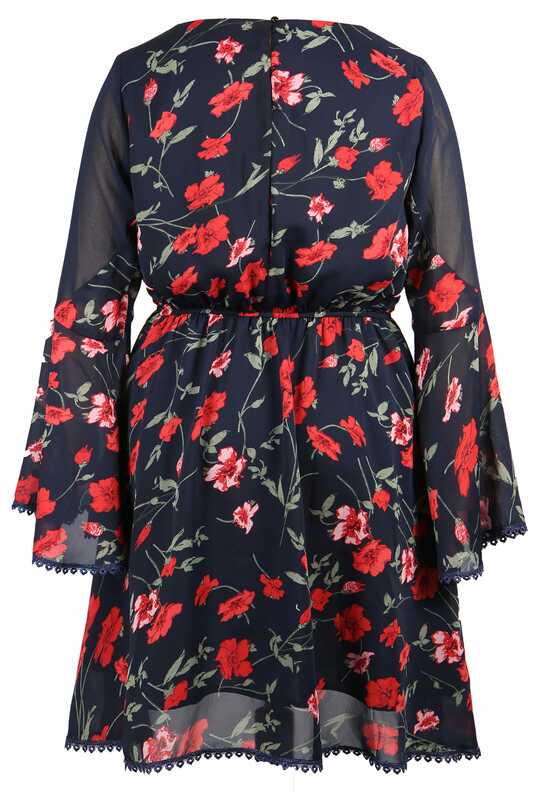 Complete with a vibrant floral print, it features contemporary bell sleeves, crochet trims and a comfortable elasticated waist. Easily suited to any occasion, team with tights and ankle boots in the day, and swap for heeled sandals for after-dark charm. A pretty printed dress will never go out of style.